The camp site is near a wild animal refuge where in the mating season (September-October) the deer can be heard braying. On our site and in the surroundings you can go hiking, do MTB, horse/riding and all sports related to nature. 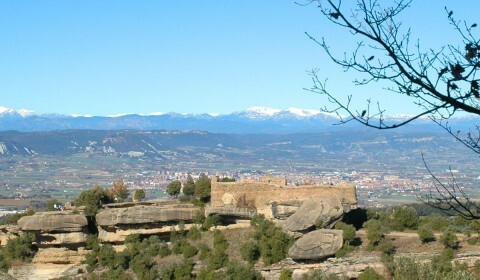 In Taradell you can visit the ruins of Taradell Castle, the Font Gran spring, the Torre d’en Carles tower, the Church of Sant Genís… Here they celebrate the ‘Festa dels Tonis’ (January) and ‘Festa d’en Toca-Sons’ (August), which are recognised as festivals of national interest. Starting point to discover the virgin nature, fauna and flora of the Parc Natural del Montseny. Vic, to enjoy all year! Visit Vic, a city which all year offers a variety of entertainment and culture: the Cathedral, the Bishopric Museum, the Roman Temple, Vic Square with its emblematic Tuesday and Saturday market, Queralt Bridge, ballooning, karting… Here they hold the Mercat del Ram (March/April), the Mercat de Música Viva (September) and the Mercat Medieval (December). Sau reservoir offers a variety of water sports.